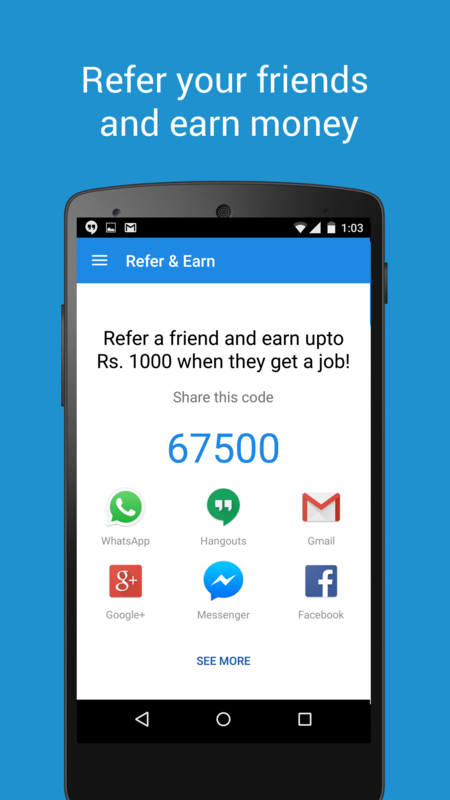 Aasaanjobs App for Employees Indiaâ€™s no. 1 portal for entry level and blue collar jobs. Now available for download. 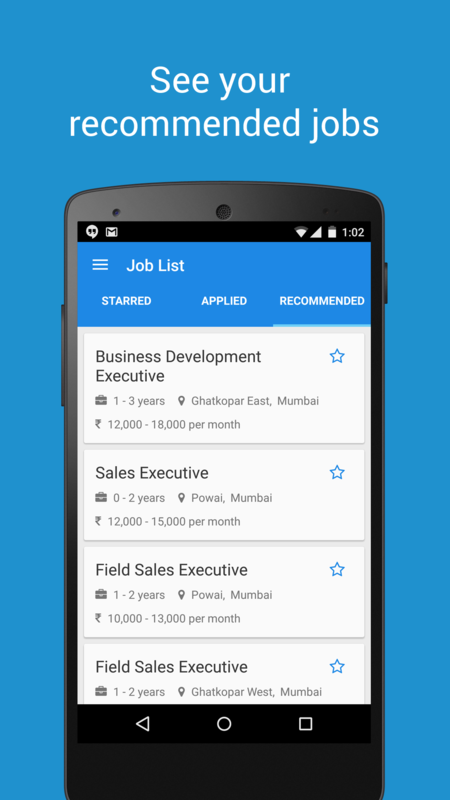 Now search for jobs, on the move. 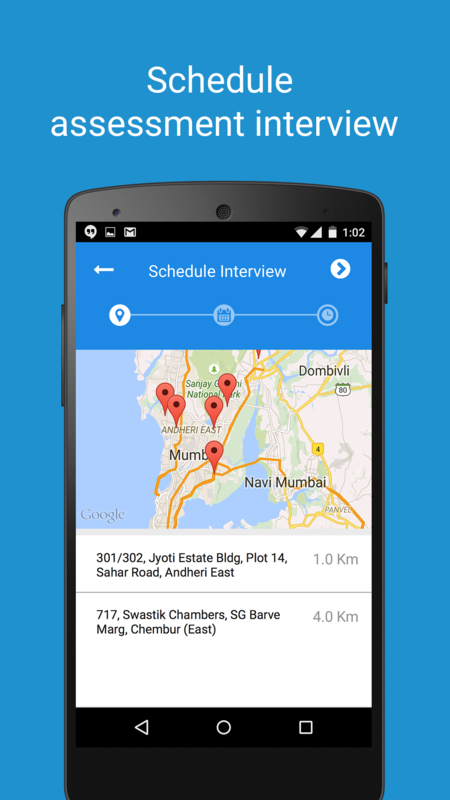 Search for jobs near your location. 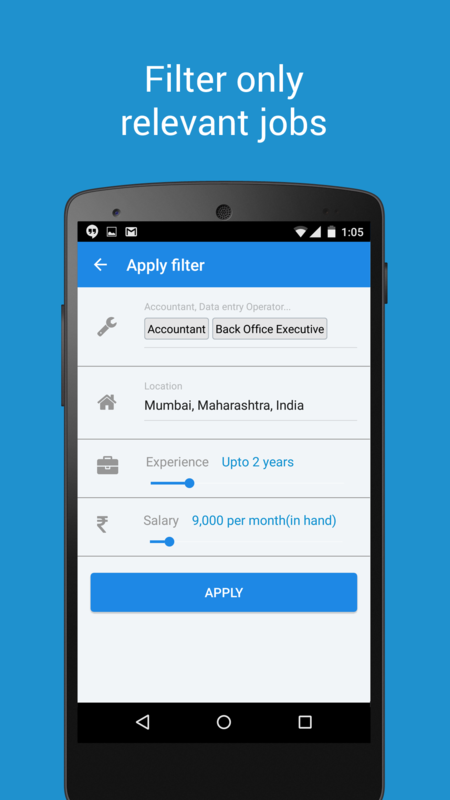 Apply for and add unlimited jobs to your wishlist. Register and login to schedule an interview. Finding a job is just a touch away Features: - Search for highly relevant jobs - New jobs updated every single day - Get job title and industry specific results - Seamless app experience - Quick and convenient - Use salary and experience filters to narrow down your search - Add unlimited jobs to your starred jobs list to apply at a later time - Browse through the applied history section to view jobs you have applied to - Schedule an assessment - Select your own interview slots Search jobs such as: - Data entry operators - Receptionists - Drivers - Office assistants - Accountants - Telecallers - MIS executives - Customer care executives - Field sales - DTP operator - Data collection executives - Office boys/helpers - Counter sales - HR executive - Customer care executives (Non Voice) Get in touch: Customer experience and satisfaction is our primary goal. 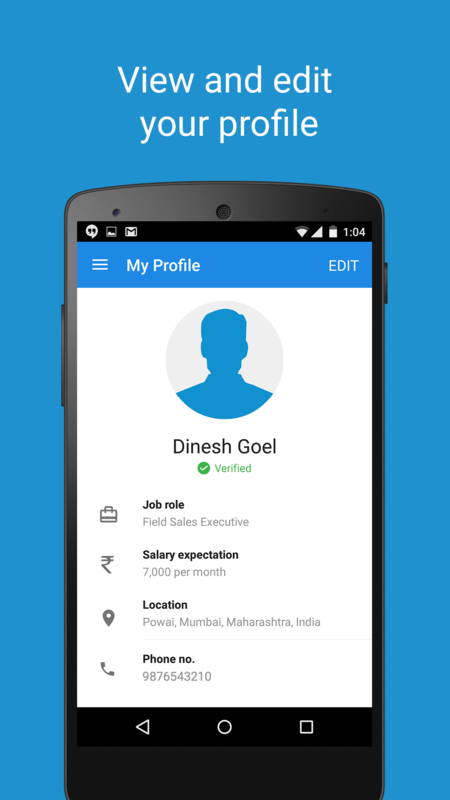 If you like our app, please take a moment to rate & review. 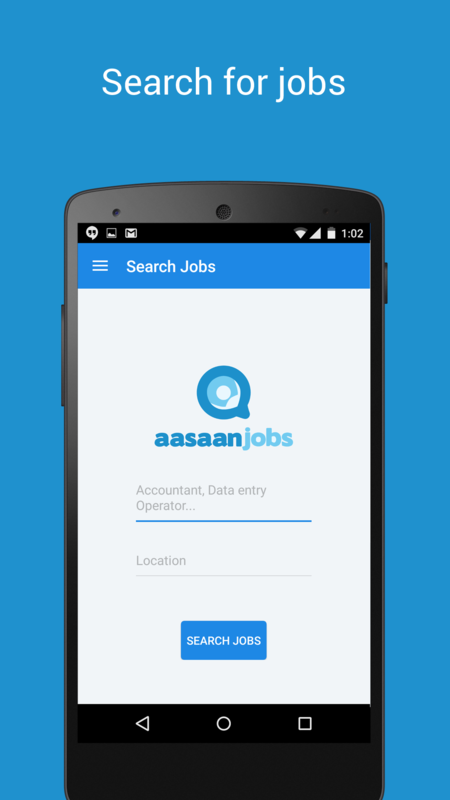 In case you come across any problem or have any issues while using the app, please feel free to reach us at 022-44446666 or mail us at developers@aasaanjobs.com. We will be pleased to assist you.